Finishing your basement is an excellent way to add value to your home and utilize unused space, but get it wrong and you may have a costly disaster on your hands. Basement framing is one of the fundamental steps to finishing your basement, so before you start laying out studs, remember that a little forethought and expertise from a licensed contractor can go a long way towards avoiding that aforementioned disaster. You and your contractor will need to make sure that the dimensions are suitable for the type of room you want. Develop a floor plan that takes into consideration the type of room you’re converting your basement to. Basement framing without a floor plan is asking for trouble. For instance, if you’re including a bathroom in your finished basement, frame it where the plumbing is located. If the rooms aren’t framed properly, you may have to rewire or move the plumbing. 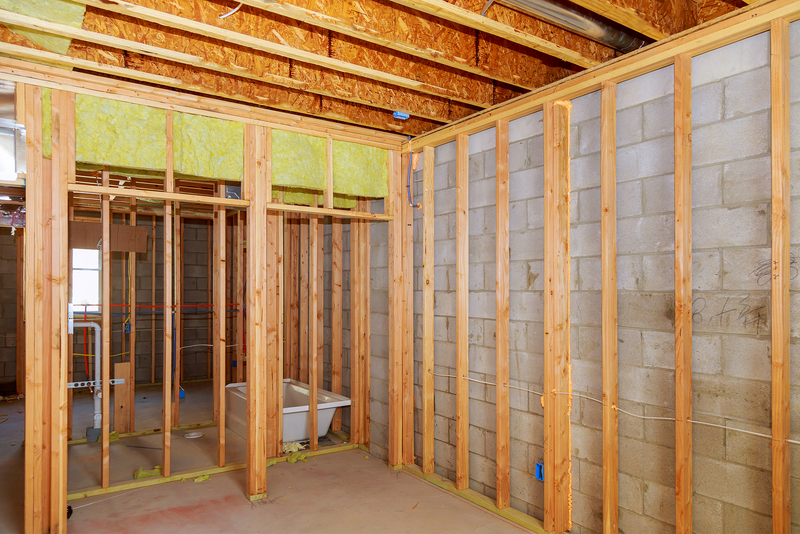 Any rewiring or plumbing issues should be resolved before you begin framing your basement. Once drywall is installed, it may be difficult to access wires and plumbing to reroute or repair. Breaking through fresh drywall will be a frustrating and costly setback. Your contractor will be the best qualified to choose the appropriate basement framing materials. Basements often have dampness due to water seeping up from the concrete foundation and evaporating within the room. It’s important that the framing materials are mold and mildew resistant. One of the worst things that could happen is for you to get mold in your finished basement. Mold can be toxic and lead to serious health issues, and getting rid of it can be difficult and expensive. A finished basement can be a smart addition to your home as long as you do it correctly. Proper basement framing is essential to the quality of the finished room and will help ensure that you have a well thought out space that provides utility, comfort and safety.